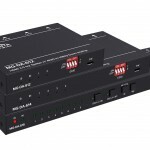 Margate, UK, April 16, 2019 – tvONE (tvone.com), a leading designer and manufacturer of cutting-edge video and multimedia processing equipment, ships a new compact HDMI 2.0 splitter and distribution amplifiers. 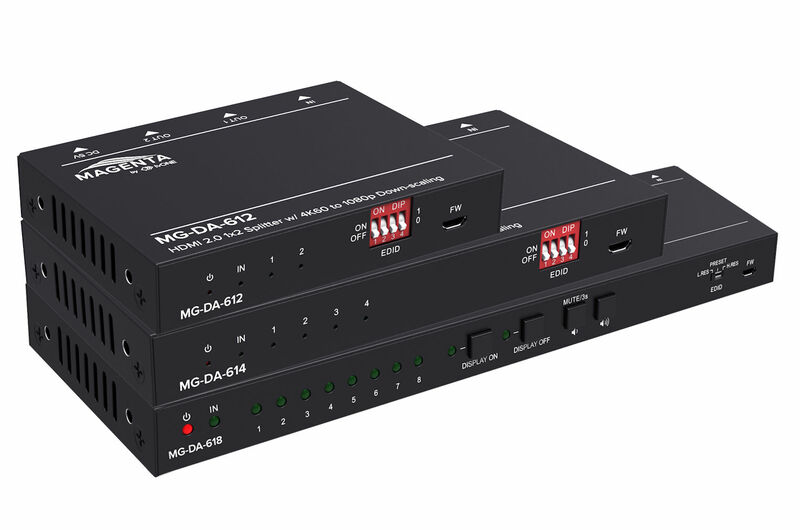 The new Magenta Research MG-DA-61x series provides a high-performance solution for distributing HDMI signals with video output up to 4K2K@60Hz (YUV444) resolutions and HDR (High Dynamic Range Imaging) support, which gives the most life-like video experience. Support is also offered for up to 32 audio channels with sampling rates up to 192kHz and passthrough of 7.1 channels of digital audio including high resolution digital audio formats such as LPCM 7.1CH, Dolby TrueHD, Dolby Digital Plus, DTS-HD Master Audio and Dolby Atmos. Other features include HDCP 2.2 and downscaling, 3D pass through, 18Gps of high bandwidth, and advanced EDID management, all in an ultra-slim 18mm high form-factor. The series is available in 1×2, 1×4 and 1×8 configurations.